A Houston woman is making national headlines after giving birth to six babies in nine minutes on Friday, according to The Woman’s Hospital of Texas. 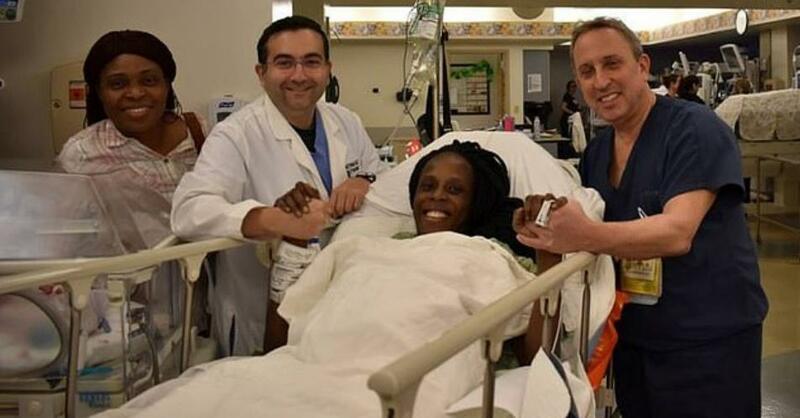 Thelma Chiaka is now the proud mother of two sets of twin boys and one set of twin girls, born at weights ranging from 1 pound, 12 ounces to 2 pounds, 14 ounces. The Woman’s Hospital of Texas said in a news release that the mother is doing well and the babies are in stable condition. They will continue to receive care in the hospital’s advanced neonatal intensive care unit. The hospital noted in a statement that the chances of Thelma giving birth to sextuplets was one in 4.7 billion. “The Woman’s Hospital of Texas, an HCA Houston Healthcare Affiliate, which delivers more babies than any other Texas hospital, early this morning welcomed sextuplets, the odds of which are estimated at one in 4.7 billion. The hospital also shared a photo of the newly famous mother and the delivery team, led by Dr Ziad Haidar, Dr Sharmeel Khaira and Dr Israel Simchowitz. Thelma reportedly named her daughters Zina and Zuriel. However, at the time of this report, her boys remained nameless.